This is a wide view using a 24-70MM lens. 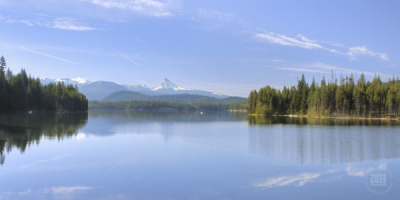 A longer exposure time was to create a soft white look upon the water. Same lake as in the above photo, but different day without any wind upon the water. 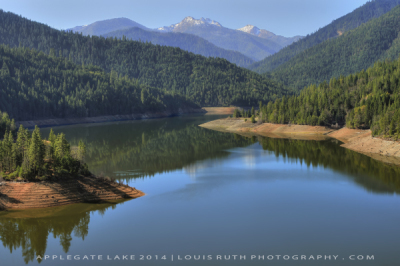 This is a beautiful scene from the Applegate Dam lake in Oregon. I used a wide angle lens to show off the beautiful colors from the trees to the glass-like water. Lush greenary growing over an old wooden fence. This is a closeup view using a 400MM telephoto lens. 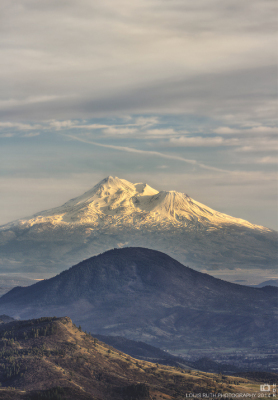 A polarizer was used to control the bright light hovering over the distant mountains. 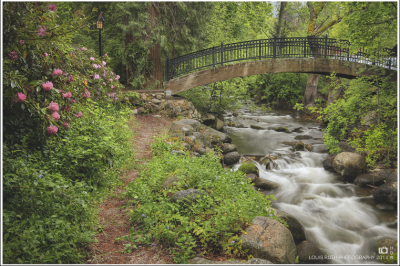 Photographed in Ashland, Oregon at Lithia park. A well know tourst location. 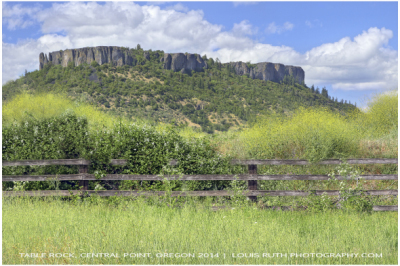 Located in Prospect Oregon, this is a tranquil scene. I used a long exposure to create the water illusion. 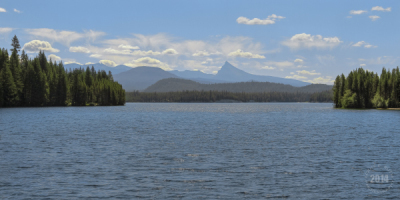 A polarizer was used to control water highlight glare. 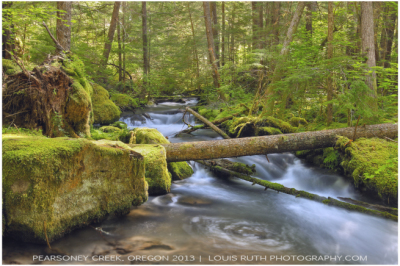 Located in Prospect Oregon this is Pearsoney Creek. 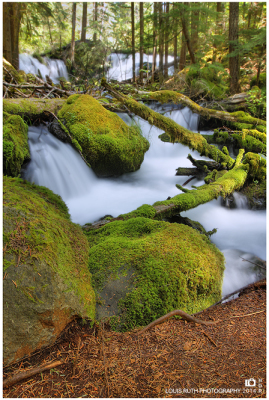 The focal point in this photo are the moss covered rocks against the swift moving white water. Using a longer shutter speed allows me to convey a creamy, white water appearance.